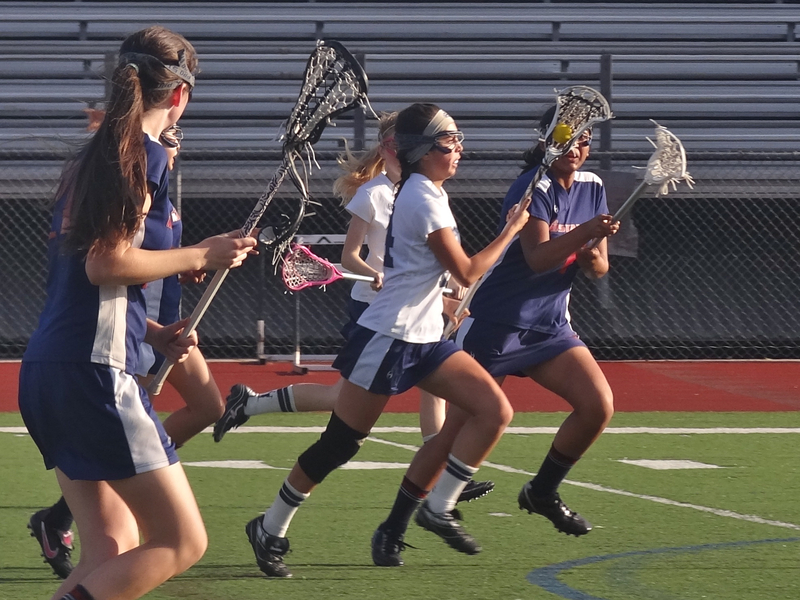 Trabuco Hills Girls Lacrosse JV got beat by a last-minute Yorba Linda goal, 6-5. In a Mustang-Mustang match, it was close throughout. It was 3-3 at half with Trabuco getting goals by Kelsey Tapia (assist by Marina Sandoval), Monica Gascon and Becca Haggard (assist Taylor Fox). Trabuco went up 5-3 after the break on goals by Gascon and Jenelle Phillips. But Yorba Linda scored the game’s final 3 goals — including one with 10 seconds left.